Hoo Boy! Montezuma will get his revenge here...with a giant jackpot! The El Cortez Hotel and Casino Las Vegas tower rooms are spacious, clean and comfortable, but the bathrooms are a bit cramped. 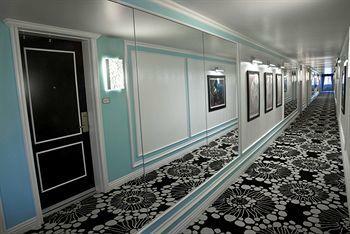 Actually, these are some nice rooms. They are as nice as almost any downtown, except the bathrooms. And if you want a really cheap room, snag a "vintage" room, they are single queens above the casino, or a Pavilion room which have outdoor entrances and are above the parking garage, but offer more space than Vintages, are fresh and can have two queens. The elegant Vintage suites are perhaps the best deal in town with a giant room with a sofa and sitting area for mere peanuts. 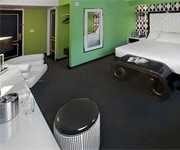 The hotel is a few hundred feet outside of the Fremont Street Experience in a safe, quickly gentrifying area. If a regular room at the El Co isn't nice enough for you, you can try the South Beach-flavored Cabana Suites in a separate building across the street. They have way more style than substance, but nice bathrooms and iPod docks. They are intended for a younger, hipper audience. And they better be hip, because if they aren't, the lime green, black and white color theme is just plain ugly. Like it's trying too hard. Fair. They are usually friendly, and they treat you like an adult. If you have special needs or prefer being babied, stay away from this place. Check in is quick, although not as pleasant since they got rid of the portrait of Jackie Gaughan and his late wife. On-site services are limited to a barber shop. Shampoo, conditioner and the ubiquitous soap. If you're feeling decadent, indulge yourself with the personal-size bottle of hand lotion. 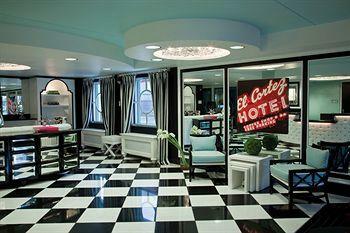 El Cortez Casino Hotel Las Vegas barely gives you enough to keep you feeling fresh. Regular folks. Because the building looks unglamorous, and there's no Canadian acrobat show, the El Co draws a crowd that is serious about gambling, not looking at fancy volcanoes and fountains. What pool? El Cortez Hotel and Casino Las Vegas has been creating some scuttlebutt about a pool in the plans, but for now you'll just have to splash around on the concrete. Yep. It's just cheap enough so that you can still waste plenty of money gamblin'. The classics are here. Blackjack, craps, roulette, mini-baccarat. 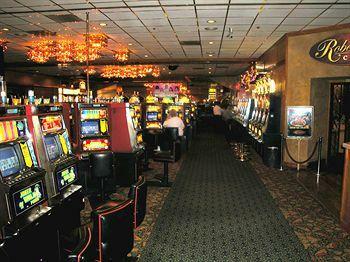 The pit is smaller than it once was, but has a lot of roulette and enough blackjack. Two craps tables are present with one usually going. $5 Pai Gow, mini baccarat, and $3 blackjack that still pays 3:2. Craps is usually $3, and the 10x odds are still a great deal. Quarter roulette can be spinning on four wheels and it is available for the brave soul willing to throw away a couple bucks on a high-risk wager. From a nickel on up. 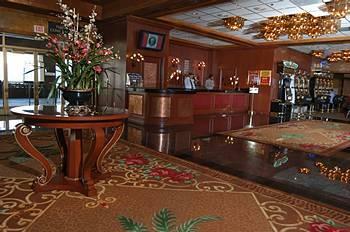 El Cortez Casino Hotel Las Vegas has good nickel and quarter video poker, plenty of full pay, and thanks to renovations, there is actually room to move around now. El Cortez Vegas Hotel and Casino has somewhere between fair and good cocktails, but it's lousy in the early morning hours. Table players get better cocktail treatment, and since much of the clientele is so tight with a buck, these waitresses remember to come back to anyone tipping. For people playing ten bucks or higher there might be something. Dinner in the coffee shop is the easiest comp. 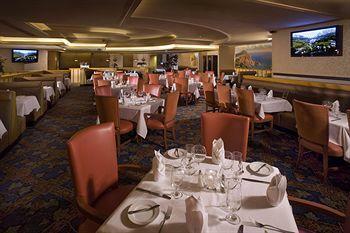 Jackie's Club Cortez is decent, about equal to the good off-strip programs. Food and room comps are pretty easy, especially mailings for free rooms. Be sure to sign up, at least to get the sign-up freebies. The Flame Steakhouse in the Downtown El Cortez Las Vegas is one of the nicer restaurants to eat at when you don't want to get over to the Vegas Strip for a meal. They've got standard steakhouse fixin's, like steaks, seafood and even chicken for those who aren't trying to be too gourmet. Leave the kids at home for this meal though, because anyone under 18 won't be allowed in anyways. 12 for race and 10 for sports, every one of them those newfangled flat screens that are sweeping casinos off their feet. About 40 for race bettors and 20 for sports. Your shoes have more padding than the chairs, so you might as well stand. About six, with an electronic board for sports scores and slate for race results. You bet. 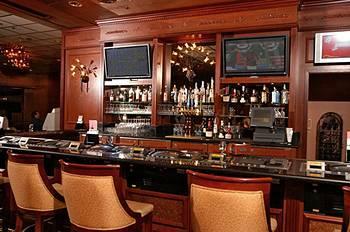 El Cortez Casino Hotel Las Vegas gives you a free drink coupon for every $10 you bet, actually. No. The Subway is actually pretty far away. 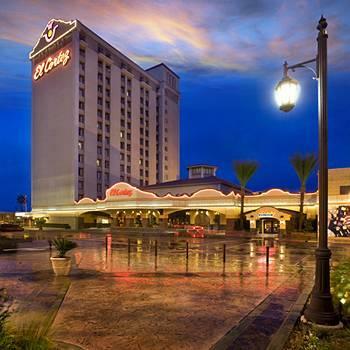 El Cortez Casino Hotel Las Vegas just gives you a good chance to build up an appetite for all those excellent Las Vegas restaurants that aren't in this hotel. Enjoy the old-style atmosphere while you marvel at how much more pleasant the newer sports books are for watching games. 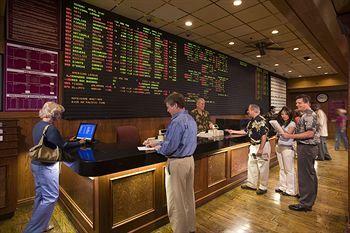 The beauty is you can bet here where the vig is lower, then watch someplace fancier, and nobody will know any better. Three. Usually for Hold 'Em, although one is supposedly for seven-card. These chairs at El Cortez Downtown Las Vegas are about as comfortable as a Yugo, but with more headroom. Not only is it open, there is no room. It's tucked into an alcove on the casino floor, next to slots and tables. It's pretty noisy! Hold-em 1-3-6. Games are going most of the time. There are no beginner games, but there are a large number of loose or bad players in the games that will give pots to a solid, tight beginner. The 1-3-6 spread game is conducive to loose-passive play. The tables almost always have an open seat for Stud when it's open, but the Hold 'Em fills on the weekends. Weekdays you can probably get in pretty quickly. Free drinks while playing. 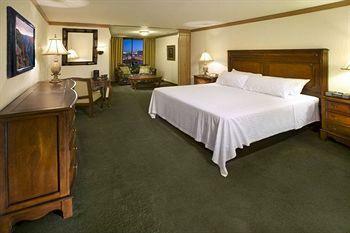 There is no casino rate for rooms, but they're cheap already. They will comp you $5 in the coffee shop if you play a few hours. Below average. Well, there are some locals at El Cortez Downtown Las Vegas (including former El Co owner Jackie Gaughan) that may clean up, but the reason most of these people are here is because they aren't good enough for other rooms. Games are usually pretty slow and the betting is low. You'll see lots of people bet to see the flop, but they won't be there for the river. This is by no means the ideal room to play poker, but if you don't intimidate easily you will find some easy pots to be had. The rake is 10% but capped at $2.50, and that's low. 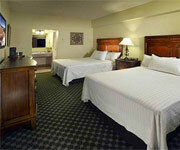 The tower rooms are the most standard, with a king bed or 2 doubles, and all rooms are non-smoking. You get a television with cable channels and wireless Internet for roughly $14/night. Stay out all night and then draw the blackout drapes/curtains to sleep all day. But set your clock radio alarm so you don't sleep into the next nigh. A refrigerator and iron/ironing board is available upon request. 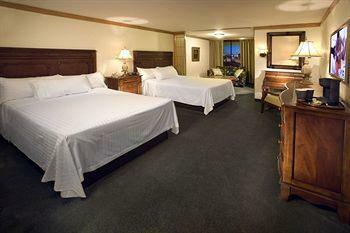 These rooms all come with two queen beds. Two queens sleeping in the same room? We don't know about that, but hopefully it will work out. These are located in Pavilion building above parking garage, so you might be sleeping right on top of your car! 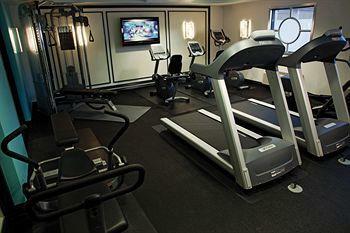 All rooms have quick access to the elevators. You also get a telephone with voice mail, cable/satellite TV with pay movies, a coffee/tea maker and a compact refrigerator and iron/ironing board is available upon request. 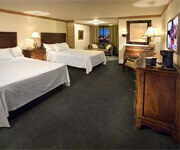 One king bed in the Junior Suite, or a Queen bed in the Deluxe Suite. These rooms have custom furniture, fancy! Wireless Internet access is available for a surcharge. The 42-inch flat-screen comes with cable TV with pay movies. When people call and you're out on the town, they can leave a voice mail on your telephone. Wake up every morning with your MP3 docking station and stereo. These all have compact refrigerators, a coffeemaker, an iron/ironing bar and a snack bar with snacks that all cost extra of course though. Stayed in the Cabana Super Suite. More than enough room for the two of us, and especially impressed with the oversized bathroom. It can be a little intimidating the first time crossing Ogden Street to get from the casino to the hotel room, but there is always a security guard and really the street is very quiet. For the flat-screen TV, in-room fridge and massive bathroom, it's worth the extra money versus a Tower or Pavillion room.